« MachPanel v6.0 BUILD 38, Now Available! With hybrid and hosted service being more popular than on-perm solutions, it is a common notion that on-perm is dead in near future but in reality: it is not. On-premises solutions are there to stay. In fact, Microsoft is putting more efforts to benefit Hosting Service Providers through its Microsoft Enterprise Software’s. Let’s have a look at and Microsoft Enterprise software’s can facilitate your Hosting cloud Business. When it comes to Microsoft Exchange, decision to take on-premises is initially supported for organization that is not ready for cloud solutions. On-site Exchange gives the hosters complete control over their applications and stored data. It also gives you flexibility for the integration with third party tools and apps. Features such as configuring emails for different systems or getting notifications for customer relationship management apps are there to stay and that makes Exchange a powerful on-premises setup. For business communication, Skype for business Server is the most popular tool in the IT space. Microsoft has yet taken it to a next level by giving it Enterprise grade features. Not only the communication is reliable it is also secure and cross-platform compatible. In addition to that, a complete Voice Integration feature is there in the Skype for business server. All these benefits are both for on-perm users too including Cloud Voicemail and management of this voicemail options for your cloud business. Most of the feature of Microsoft SharePoint Online and on-premises are similar. However, there are a few benefits that only on-premises users can enjoy. For example, Data security and compliance, which is essential for cloud business, are much higher in case of on-perm. Hosters have full control over performance and can ensure 99.9% uptime. The initial investment costs are one-time and the options are fully customizable. There is always the option to migrate to Online when you are fully ready. However, with on-perm solution, you have full access to Windows/SQL servers. The bandwidth is also customizable since it is based on the internal network bandwidth. Microsoft Dynamics CRM is undoubtedly the most trusted and efficient CRM solution in the IT space. The flexibility and innovation provide the users with more value. Employees can access quickly and market efficiently. With an on-premises Microsoft Dynamics CRM deployment, you get the benefits of greater control, reduced long-term ownership payments, the data is controlled physically within the organization, the company is able to comply with external requirements like requirements imposed from Governments. Apart from that, accessibility is not dependent on a bandwidth connection. Overall, it cuts down your costs in the long term and requires one-time investments only. All these features make Dynamics CRM on-premises popular with Hoster and it is there to stay for longer. MachSol is trusted globally for its cloud services and MachPanel which is a Multi-Cloud Operations Management and Orchestration Solutions Platform. It provides best features for your cloud business and setup for on-premises solutions with our industry’s best experts at your doorstep. 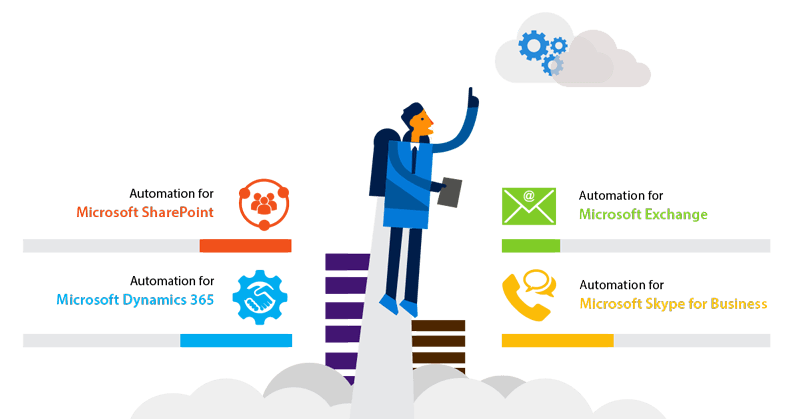 From planning to provisioning, the on-premises solutions such as Microsoft Exchange, Microsoft Skype for business, Microsoft SharePoint, Office 365, Hyper V, Dynamics CRM are all provided with excellent support at your environment. You need not worry about the deployment of such solutions; your cloud business will be up and running in no time. MachPanel and its multiple automation modules can keep your business up to the mark according to latest trends in the cloud business. With MachSol turnkey services and Microsoft Enterprise solutions, your business is bound to have a sustainable approach towards success. So, get our Enterprise Turnkey Solutions today. This entry was posted on Friday, February 1st, 2019 at 10:30 am	and is filed under Cloud. You can follow any responses to this entry through the RSS 2.0 feed. Both comments and pings are currently closed.